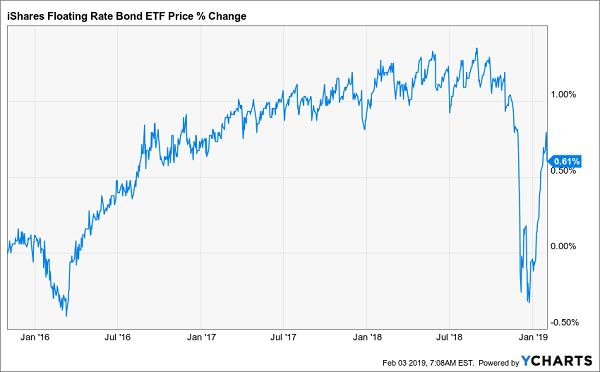 Despite the rising-rate cycle kicking off in December 2015, the benchmark iShares Floating Rate Bond ETF (FLOT) went nowhere following a brief, small bump in early 2016. And investors were no doubt frustrated with the 1% gain they got in the years they held FLOT, before kissing most of that gain goodbye in the late-2018 market panic. Instead of using floating-rate loans, as they did in 2018, more US companies are going back to raising cash by issuing corporate debt in the form of bonds. They are even doing this in unusual and unexpected situations. The Financial Times tells the story of TransDigm (TDG), an aircraft-component manufacturer that used corporate bonds instead of floating-rate loans to fund its $3.8-billion acquisition of aerospace-component maker Esterline. One of the most discounted floating-rate funds also has one of the biggest yields: the Ares Dynamic Credit Allocation Fund (ARDC) pays a massive 8.8%. It also gets “bounce-back” upside from its 13.1% discount to net asset value (NAV, or the what its underlying loan portfolio is worth). That’s well below the 7.2% discount it achieved in the past year. As you might suspect, the fund’s name comes from its management team: Ares Management, which runs a number of funds and companies that provide credit to medium-sized businesses, including its business-development company, Ares Capital Corporation (ARCC). Ares Capital is the biggest BDC, with $12.3 billion in assets under management. The 17 funds I want to GIVE you now promise bigger upside than ARDC, plus an incredible average cash payout of 8.5%! These 17 dynamic buys are locked in for those big dividends—and gains, thanks to their totally absurd discounts—no matter what happens with rates. And bear in mind that the 8.5% dividend I just mentioned is the average. 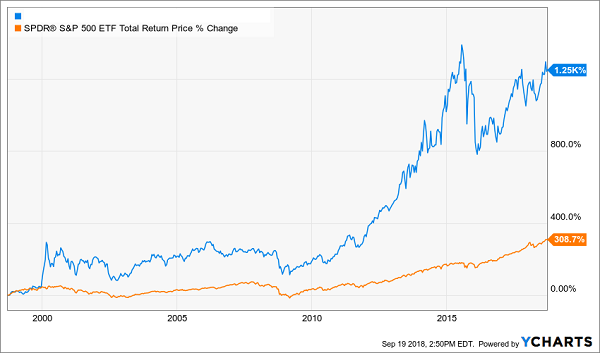 One of these blockbuster funds yields an amazing 10.5% Another? 11.3%! 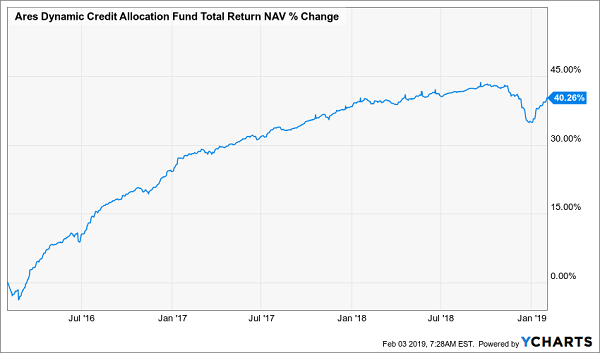 So a $500,000 investment in the “average” of these 17 funds would hand you $42,500 in dividend income in the next year alone. The kicker? Eleven of these income powerhouses pay dividends monthly! They’re the 17 buy recommendations in my CEF Insider service’s portfolio. And as I just said, I’m ready to GIVE you access to all of them right now. All you have to do is click here to sample CEF Insider today. I’ll also give you a FREE Special Report revealing my top 5 CEF buys for 2019. These CEFs are the best of the best: your go-to picks for reliable income and blockbuster upside: I’m forecasting 20%+ price gains in the next 12 months alone—double the rise I’m forecasting for ARDC—thanks to the ridiculous discounts this “5-pack” is trading at right now. 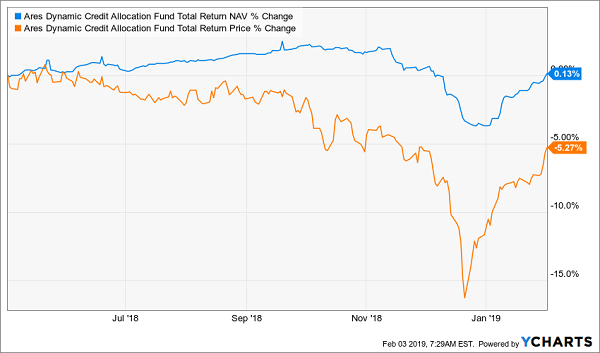 And with just a couple more clicks, the name of this fund, plus the 17 CEFs throwing off an amazing 8.5% dividend and my 5 best CEF buys for 2019 can all be yours. This “rate-proof” investment package is the most wealth-building research I’ve ever made available to the public in one go, and I don’t want you to miss out. Click here to get your Special Report and full details—names, ticker symbols and my complete research—on this basket of 17 potent 8.5%+ income plays now! previousEthereum Price Analysis: Back to the Eighties?